Hardly a taxing train for a Class 60! 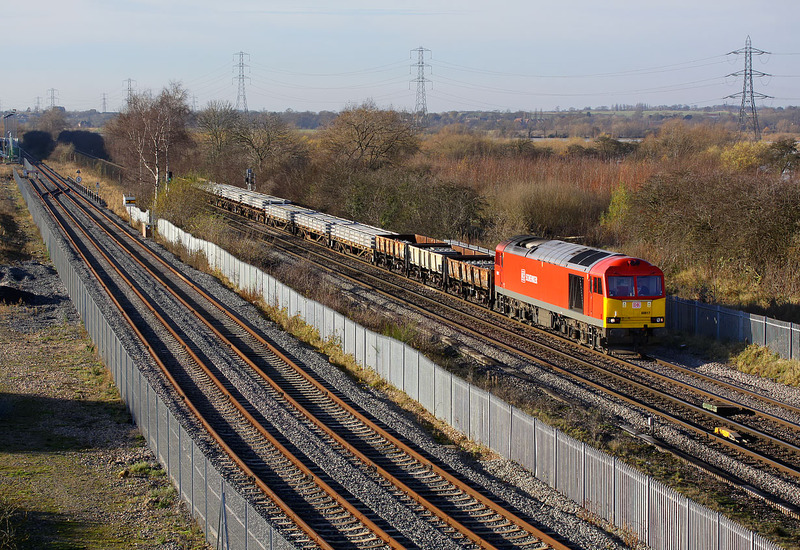 60017 passes Castle Donington on 29 November 2012 with the 6D44 11:09 Bescot to Toton engineer's working. An interesting selection of wagons and a welcome change from the ubiquitous 'Shed'. The River Trent meanders through the bushes in the background.